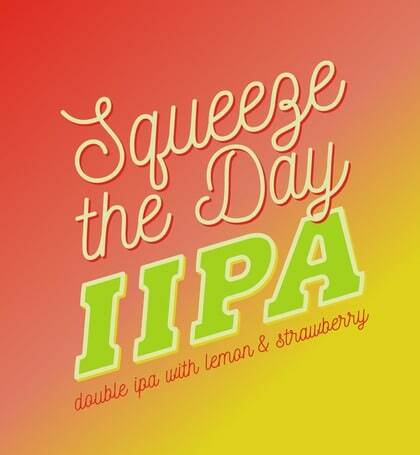 Squeeze The Day – Imperial IPA with Strawberry and Lemon Wins! 7.16.18 – PACKAGING DAY!!! This beer is so well balanced. Strawberry and lemon blend perfectly with the hops and we are so stoked about this release. It is heading into bottles and it will be on its way in the next couple of weeks. Join us for the release party in the taproom Thursday the 19th at 7pm to celebrate with the winner! Cheers! 6.20.18 – Primary fermentation on this Imperial IPA is complete. Which means it is time for fruit! Lots of fruit! Lemon and strawberry are heading in. After they ferment out we will dry hop! Stay tuned! 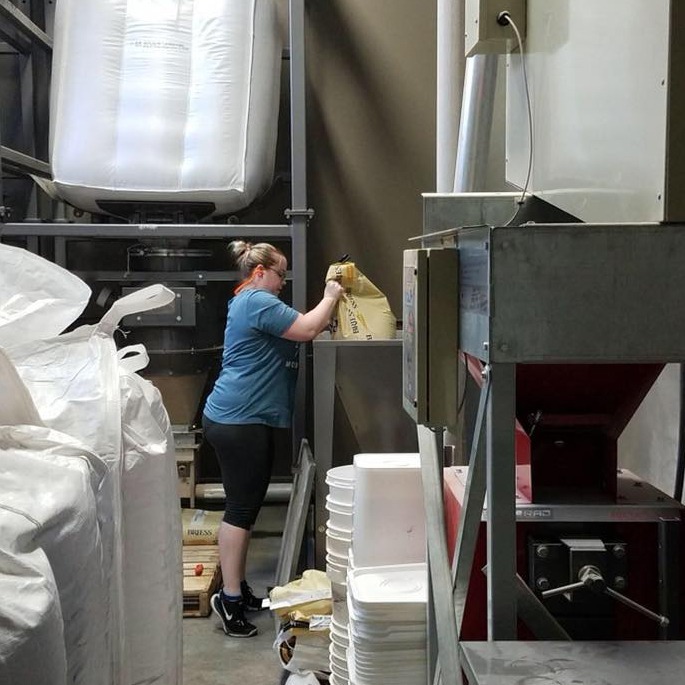 Photo Right: Katie adding specialty grain to the mill on brew day. 5.30.18 – Brew day was incredible. We talked beer, enjoyed great food and all around had a great time! Katie and her husband and parents were able to be a part of the day. It was filled with hops and lots of grain. The beer is happily fermenting away. Stay tuned for fruit additions! 5.16.18 – Getting closer to brew day! Ingredients have been ordered and are on their way. Typography is pretty much locked down for Squeeze the Day! Thinking something squeezed and fractal for the actual image. Stay tuned for some sketches and photos from the brew. 4.26.18 – Squeeze the Day Double IPA wins! This Double IPA with Strawberry and Lemon will be absolutely perfect for summer!! We can not wait for brew day. We will be working with Katie, the winner, on what her vision is for the beer and the label as well as sourcing the perfect ingredients for this brew. Brew day will be end of May! Katie was inspired by her love for beer, lemonade, fresh strawberries and of course summer! Congratulations Katie!